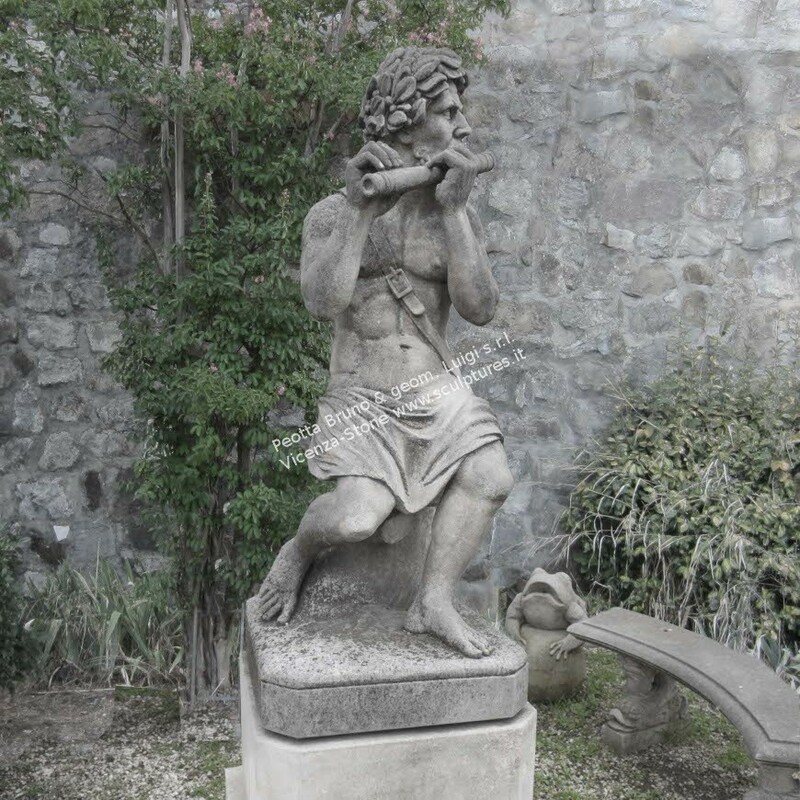 Statue executed entirely by hand representing a musician with flute. 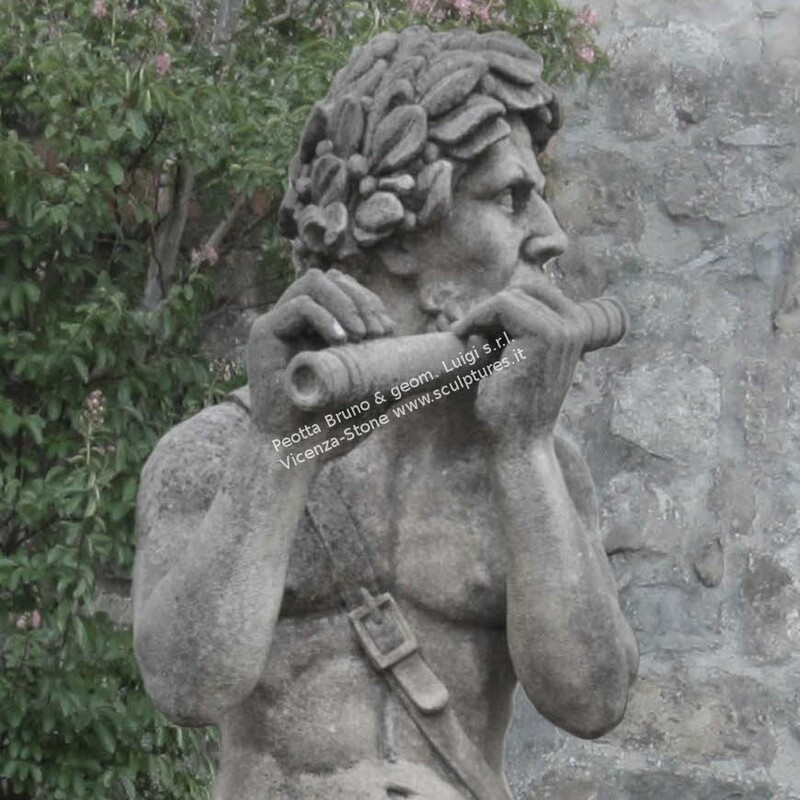 Typical statue that was inserted in the large parks of the Villas of Andrea Palladio. A completion of the sculpture a base in one piece.